We’ve started to see more OEMs raise the base amount of storage on smartphones to 64GB of storage, though the same can’t be said for mid and lower range devices, most of which start at 32GB, but also go as low as 16GB. 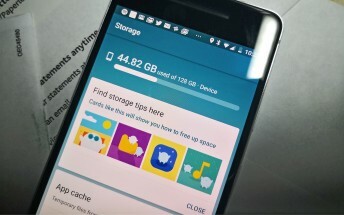 With Google’s most recent release of its smart storage management app Files Go, it’s apparent that Google intends to make storage a pain point of the past. The latest commit in Android’s AOSP framework mentions a new feature that would automatically flag apps as “inactive” and deprioritizes the generation of cache files for the particular app. Android will only consider an app as “inactive” if it hasn’t been recently used in the foreground and the app package isn’t being used by another app package in the background. These apps marked as “Inactive” won’t have cache files generated for them, thus reducing storage space. We see Google’s intention, but the reality is that we may not see its benefits until one or two years down the road. As many OEMs are still in the testing stages of Android Oreo 8.0, it will be while before 8.1 becomes the norm in other smartphones. Besides that, OEMs need to enable this feature for the device to take advantage of it.